Now! 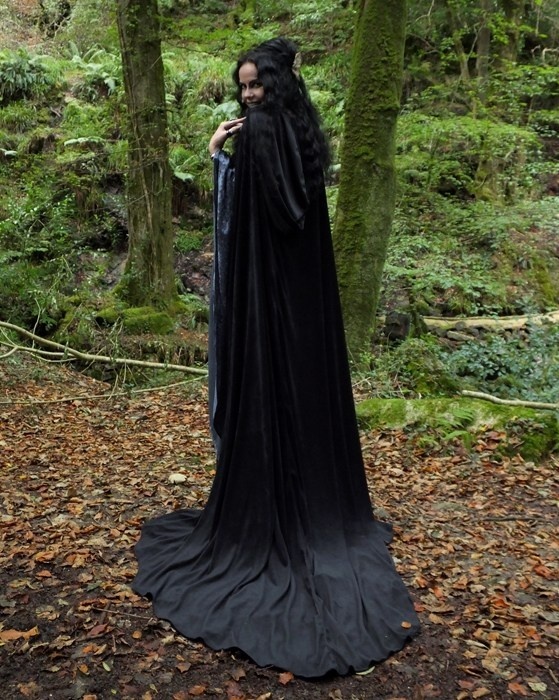 If you’re going for a walk in the woods and want to look like an Elven Princess then this is the cloak for you! Made from our sumptuous Steamed Velvet, and fastened with a single froglet. It’s more about the back than the front and trails out spookily behind. The hood is particularly elveny and pretty stunning all round! Wear it and feel the magick ! Perfect for rituals, handfastings, or just looking fab in :D It's available in all shades of steamed velvet.